Is a retirement home in the beautiful Banderas Bay region on the top of your Christmas list this year? You aren’t alone. Mexico is the leading retirement destination in the world for Americans and Canadians, attracted by the warm climate, affordable cost of living, excellent health care and a secure, friendly community. But just like retirement savings, a retirement home requires planning and forethought and here are two key points you should consider when buying a home for your later years. Location: While some prefer living downtown close to the entertainment district, home cooks may like grocery stores and markets within easy walking distance and would prefer an area like Fluvial. Planning on spending much of your retirement on the golf course or on your boat? 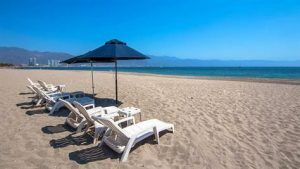 Marina Vallarta or Nuevo Vallarta may be great choices. Your retirement lifestyle goals should factor into the neighborhood that you choose. You also may not be as comfortable driving as time goes by, so think about how walkable a potential neighborhood will be and what kind of access there is to public transportation. Accessibility: Consider how functional your home will be in future years. A third story walk-up condo may not be a bother now, but in later years it might become more challenging. Also look at the construction with an eye to the future: will doorways and halls be wide enough should a wheelchair ever be necessary, can bathrooms be configured with accessibility aids, does the pool have a shallow end? A home that can change to accommodate any possible needs you may have later in life is a good choice for a retirement property. Thinking towards your future needs will help you choose the perfect retirement property in beautiful Puerto Vallarta. If you are considering investing in real estate, I invite you to contact my office for more suggestions on how to find your dream property.